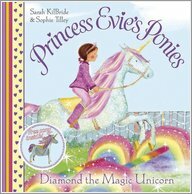 Princess Evie is crazy about her ponies. 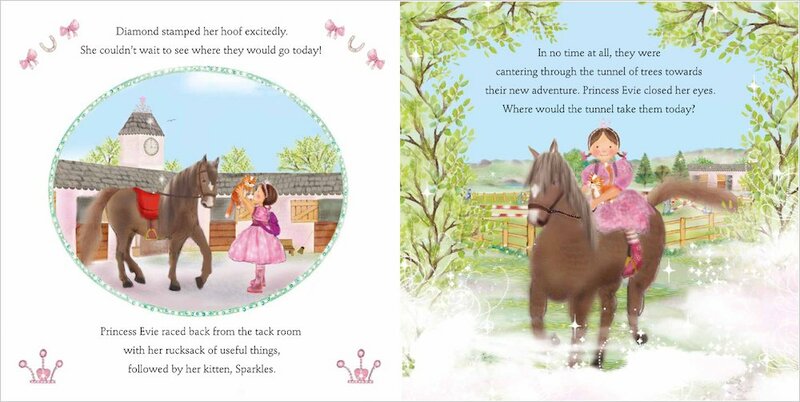 But Princess Evie’s ponies aren’t like any other ponies – oh no! 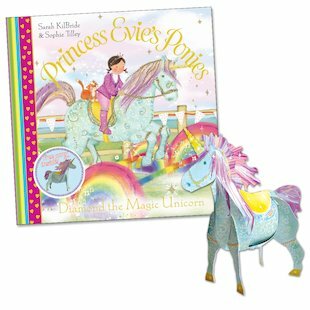 All of her ponies are magical ponies who whisk her away to enchanted faraway lands! 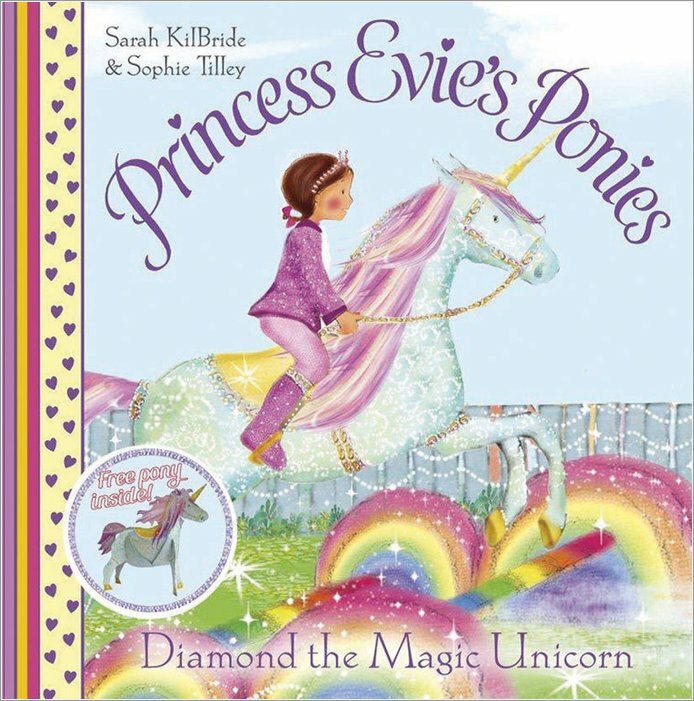 And now Evie’s adventures take on an even more magical twist, when her latest steed carries her into a beautiful world of cloud sprites and unicorns. 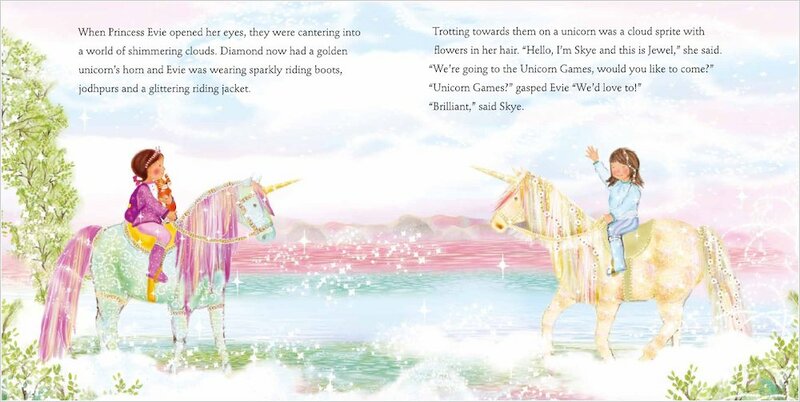 In this mystical setting, Evie and Sparkles the kitten are invited to take part in the Unicorn Games. But will Diamond the unicorn be good enough to win a prize? 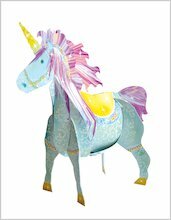 Find out in this sparkly sporting adventure, which includes a FREE cardboard model pony to assemble. I like Evie as she’s pink and I like pink. I also liked the ponie’s magical trip when they make new friends.